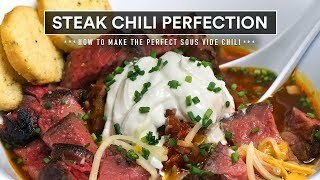 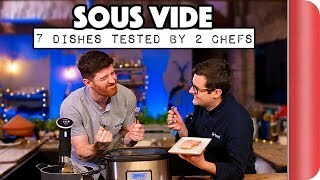 With sous vide (say “sue veed”), you simply set a pot of water to the corresponding time and temperature, and you can get that perfect doneness you desire, every time. 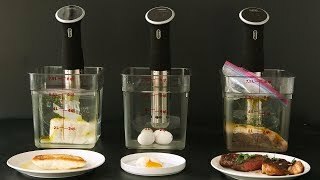 Sous vide has been gaining popularity recently with home cooks, but professional chefs and restaurants have been relying upon it for decades. 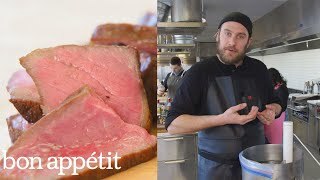 Because a sous vide steak cooks from edge to edge with more or less perfect evenness, there is no temperature gradient inside. 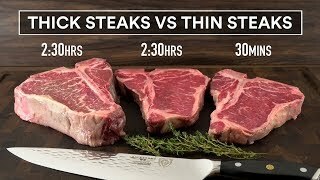 A medium-rare steak should be 130°F from the very center to the outer edge, with only the outer surfaces hotter after searing. 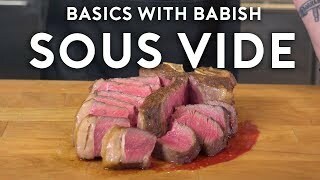 Sous vide steaks can be served immediately after searing.